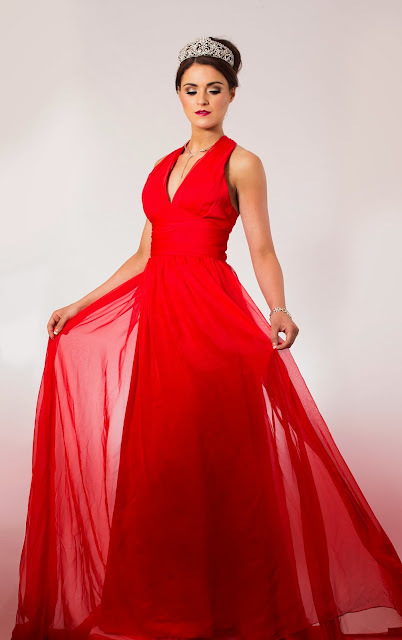 The current Miss Galway Laura Fox is a 22 year old born and bred Galway girl who recently launched her modelling career by obtaining the Miss Galway title. While still working full time, Laura did us proud by placing in the Top 7 at the Miss Ireland pageant earlier this summer in Dublin. She took some time out of her busy schedule to share some of the tips of the trade with us! Firstly, how & when did you start modelling? I’m very new! Modelling is obviously something I’ve wanted to do for a while but it wasn’t until I won Miss Galway in April of this year that things started to take off for me. Who are your favourite top models? Cara Delevinge!!!!!! She’s absolutely amazing but she’s also the kind of girl you’d want to be friends with, she’s just so cool! I’m pretty much in love with all of the Victoria Secret Angels.Home grown Models like Roz Purcell, Rosanna Davidson and Holly Carpenter are such an inspiration also as they went down the pageant route and are so successful from it- and they’re Irish! How has your reign as ‘Miss Galway’ been so far? What have been the highlights & the lowlights? It has been so much fun, I’m loving every minute of it. Highlights definitely have got to be the night of the Miss Ireland final, it was such a buzz and it was brilliant to have all my friends and family there, gave us an excuse for a night out! And the Galway races this year, I’m a lover of the races anyway but it was such a change, I was doing interviews for xpose and RTE, along with having my picture if every national paper!Lowlights- there really aren’t many, but if I had to say something it would just be not getting to hang out with my boyfriend or my friends as much, luckily they understand!! 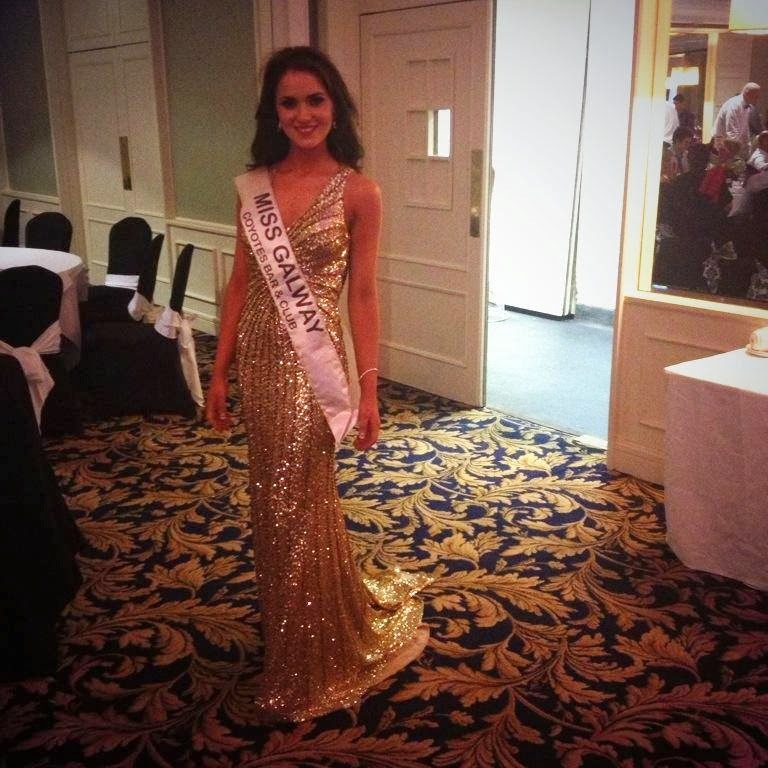 What is competing for Miss Ireland REALLY like? Bitchy competitiveness or all polite and civilised? I have to be completely honest and say that going into it I was expecting backstabbing and full on hissy fits! It couldn’t have been different, I mean don’t get me wrong you have 29 girls giving it their all for one title- there’s going to be moments when we want to kill each other, but that’s all they were- moments.I made some unbelievable friends from it and cannot wait for the reunion after Aoife gets home from doing us proud in Indonesia at the Miss World Final this month. Cleanse Tone and Moisturise morning and Night!! I have every oily skin so I really have to be pretty religious with it! I use Clinique Anti Blemish and their oil free moisturiser. It would have to be MAC! but I mix and match, I’m really loving the Catrice make up at the minute, I tried out their foundation and for 6.50 its pretty decent! Its available in Penneys, so I’m always picking up bronzer and eye liner and its really handy just to pop in your handbag on a night out- at least if it goes missing your not losing a fortune! Bronzer Lip Gloss and Mascara! I used to love Ralph Lauren Hot, but its not available to buy anywhere but the States anymore! So I’m usually a Britney Spears Fantasy during the day and Armani Code for nights out. What advice could you offer young aspiring models & future Miss Galway’s? If its something you really want, go for it! Try everything out, and make sure and enjoy it! I drink bucket loads of green tea, it really helps with keeping my skin clear and loads of water!! Also check out the Giveaway currently running on the Innocent Illusion Facebook page! You could WIN a personal Training Program with Alan Quin Fitness who trained Laura while she was preparing for Miss Ireland! And look how amazing she looks! Watch out for this one! We will be hearing about her again in the near future!